The ready-to-drink (RTD) market has grown significantly in recent years, largely due to global trends like convenience, all-in-one nutrition, and the wellness trend. When preparing for an RTD launch, as with any product, there are a lot of variables to consider. What kind of RTD do you want to make? What makes launching an RTD different? How do you design an RTD? What should you look for in a co-manufacturer? What does a pilot trial look like? What about stability and shelf life testing? What are the costs and concerns of the first production run? 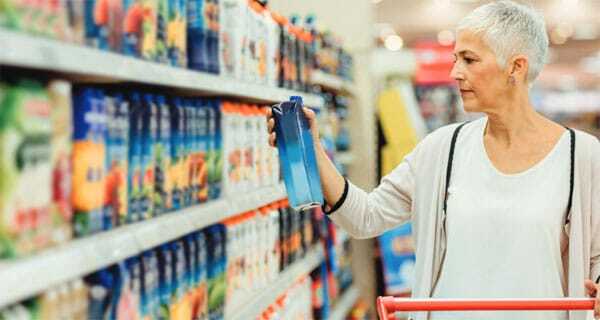 With so many items on your checklist, here is a helpful breakdown from three RTD experts; Emily Ross, Account Manager-Beverage, Agropur US Custom Solutions, David Shea, Director of Key Accounts, Agropur Natrel USA, and Jennifer Roberts, MFS, Food Technologist, Agropur US Custom Solutions. Marketing: How do you choose what kind of RTD to make? The question for many companies, large and small, is where do we start? How can you cause product disruption in this growing market? As with any product, there are numerous variables to consider when preparing for an RTD launch. For those just starting out in the RTD world, it can be daunting to learn or even find details covering the process and technical aspects of formulating and launching a beverage. From how a marketing choice can change your flavour options, to shelf stability and pilot trials there is a great deal to navigate. There are obviously a wide variety of RTD options in the marketplace including: dairy-based, vegan, coffee or tea-based, high protein, high fibre, organic, non-GMO, neutral flavours vs. acidic flavours, and gluten free to name a few; so the type of RTD you decide to launch predominantly depends on the goal of your company. Each category comes with its own set of pros and cons. A positive attribute to formulating with dairy proteins, for example, is that there are years of research behind what happens to them during processing, how long they remain stable, what they will taste like, and how to ensure a successful product run. Products containing a dairy allergen, however, will not meet the dietary needs of consumers affected by a dairy sensitivity or intolerance. Plant-based proteins, while eliminating the dairy allergen, do not have the same kind of detailed research available. This alone can play a large role in increasing risk; at least as far as product development is concerned. Working with a good research and development team can help you understand all of the different options before you make a final decision.